The day started foggy, but with no rain in the forecast and a new pair of gloves sitting here and waiting for their first ride I really had to get out on my bike again. 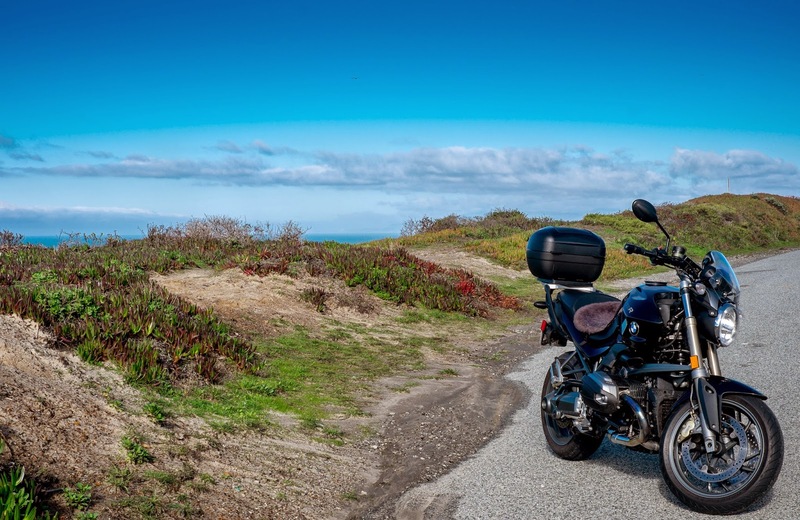 Hwy 84, one of my favorite routes in the area and perfect for a warm-up brought me to the beautiful pacific coast and indeed, the sun was out for most of the ride. At this time of the year the California State Beaches along Hwy 1 are pretty much deserted and parking is free of charge. Only a few people were out there, walking their dogs, sightseeing and taking pictures of the stunning scenery. Back at my bike I found it got invaded by members of the Boisea trivittata species. 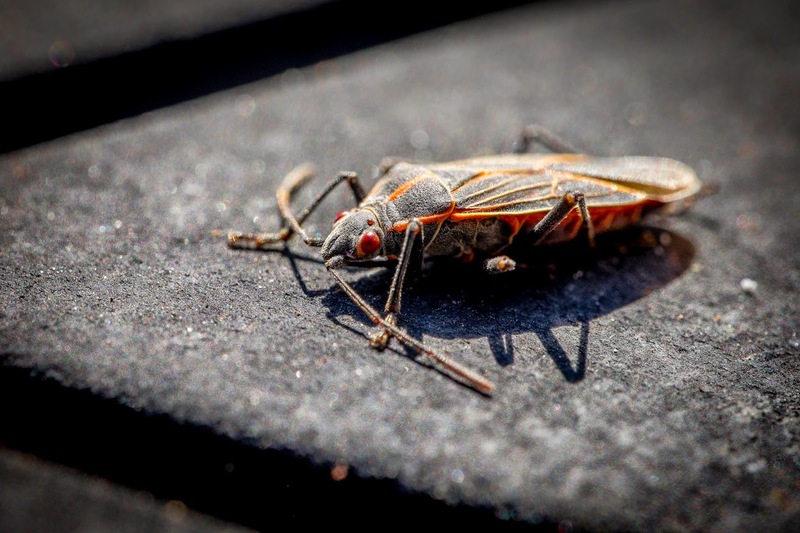 The Boxelder bugs were sunbathing on black/warm spots of my bike. Well, most parts of my bike are actually black... They mainly sat on the seat, top case and tires. 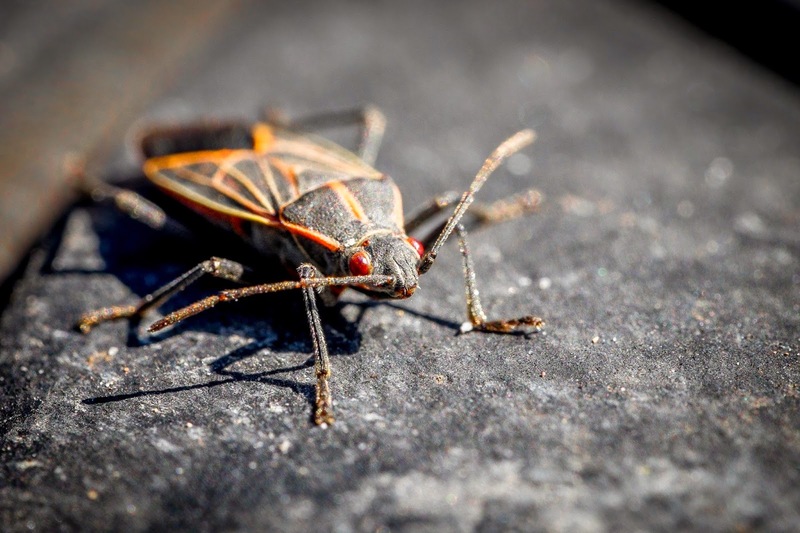 Alright, macro photography time: setting the camera to manual focus mode, selecting the closest focus point of the lens and using my body to move back and forth to get the subject into focus, getting down to the level of the bug and focusing on its eyes. 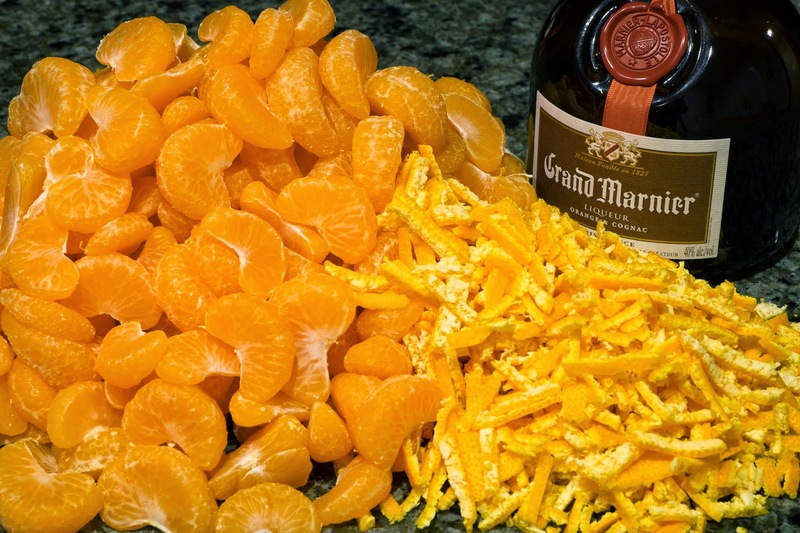 And being aware that one needs to take many, many shots to maybe (!) get a decent one. Even at an aperture of f/11 not much of the bug's body was in focus, just the head and some parts of its legs. Will try an even smaller aperture next time to increase the depth of field some more. As mentioned earlier, testing my new BMW GS Dry Gloves was another reason for getting out today. Since we have not yet figured out what kind of hand guards to install on the R, my hands are fully exposed to the wind. For most of the year, the Held Evo Thrux 2221 work perfectly for me and heated grips do the rest when it gets a bit cooler. But for this time of the year I wanted something less permeable to wind. 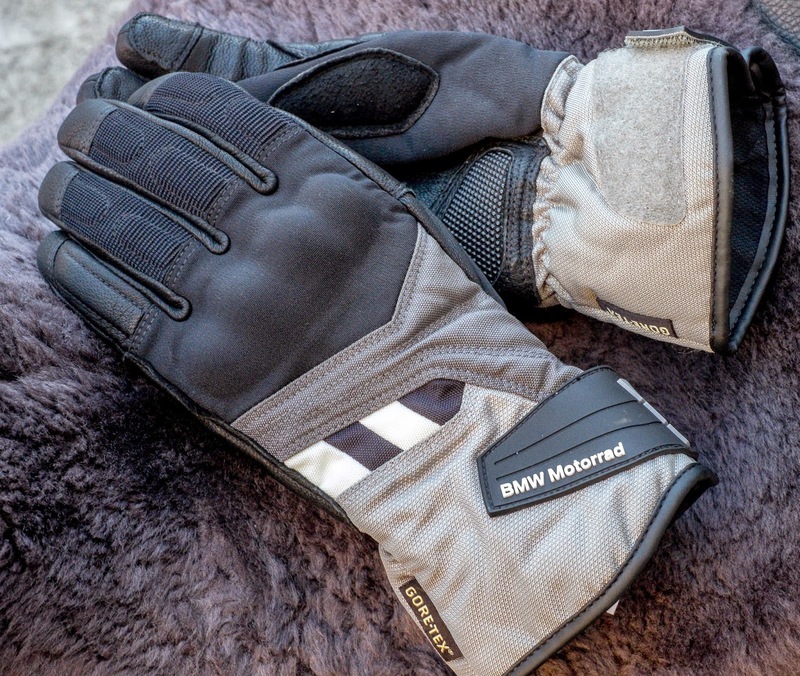 The BMW GS Dry Gloves claim to be water- and windproof, come with SuperFabric (which combines goatskin leather and abrasion resistant fabric) and GORE-TEX X-TRAFIT, a breathable three-layer laminate. In today's condition with temperatures in the high 50th/low 60th (14-16 deg Celsius) and high humidity I usually have the heated grips on. Not so today which is a good sign. The only thing I am not sure yet is their breathability. I need to challenge them some more in lower temperatures but so far I like the gloves a lot. After living in North America for nearly eight years there are a few very typical German customs that we miss sometimes. One of them is the lovely tradition of German Christmas Markets. Most cities in Germany have such a market which traditionally opens end of Nov and closes right before December 24th. Very famous are the ones in Nuremberg and Dresden. 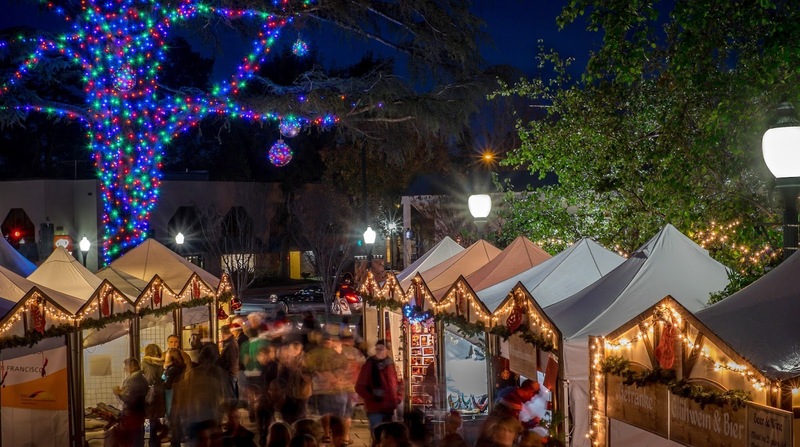 Today, we were delighted to find out that the San Francisco Goethe Institut had organized a Christmas Market in Mountain View, just a few minutes from us. Except for snow and freezing temperatures it had everything that such a market needs: handcrafted nutcrackers and smokers from Seiffen, candles, Christmas decoration and arts and German food such as bratwurst with sauerkraut, wiener with potato salad and of course mulled wine (Glühwein). They even had a stage with life music and a petting zoo for the little ones. To get to enjoy the mulled wine, there was a two-step procedure: first, one would need to proof being over 21 to purchase a ticket at one specific booth and then would go to the mulled wine booth to finally get the deliciously spiced and warm wine. Many might have felt like us and had missed the Christmas Market custom. The market was packed and lines, especially those for food and drinks, were long. Happy Holidays! Frohe Advents- und Weihnachtszeit! St. Nicholas Day is an old popular tradition in Germany and other parts of Europe which I loved as a child. It is celebrated each year on December 6th. It goes back to Nicholas of Myra who was a Greek Christian bishop and who died on that day in 346. He had developed a reputation of secret gift-giving by putting coins on or in people's shoes. 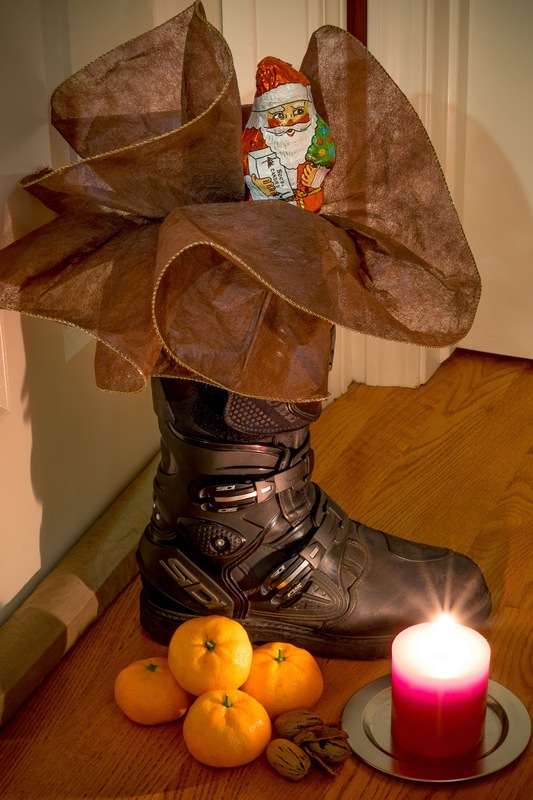 The tradition still lives on with children who would place one of their boots in front of the bedroom in the night of December 5th to find it filled with treats the next morning. Important: it must be only one boot. Both boots would make the kid appear greedy. And the boot has to be a polished to show how well-behaved the child is! Otherwise, St. Nicholas would only leave a piece of wood or birch. Now that two weeks have gone by since I came back from my across-the-U.S. journey, the whole experience had time to sink in a little and I gave it some concluding thoughts. In a nut-shell, six weeks sound like a long time, but thinking back it felt like the journey flew by in the blink of an eye. I did not get sick, did not have any accidents and no real issues with the car, except for those four listed below. 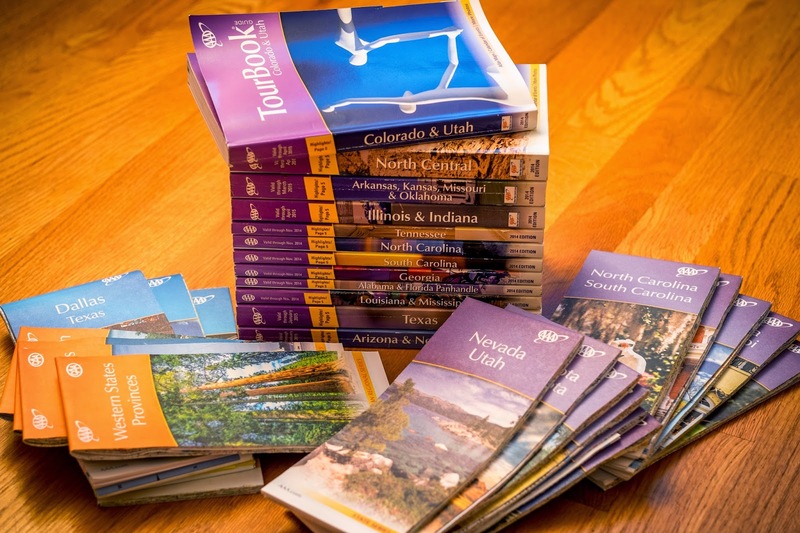 AAA maps & travel books: provided to AAA members for free, they cover all states and large cities I visited. Although I heavily used the GPS app on my phone I always want to have a map as well for alternative route planning, more independence from the GPS and better overview of the area. The travel books provide lots of information about a state's/city's history, good facts to know and locations to visit. I did not utilize their hotel/restaurant listing as those selected are rather on the pricy side. Non-AAA members can pick up these books and maps for $14.95/book and $5.95/map. Traveling on four wheels allowed me to carry such paper material. I would have optimized and packaged the data differently if I had been on my motorcycle instead. Camping dishes: a mug, bowl and cutleries came in very handy when preparing breakfast or supper in my room or on the road. I even used them in the motels' breakfast rooms to avoid the use of yet another styrofoam/plastic cup, dish or plastic cutleries. Cooler bag (30x15x15cm) & ice packs: cheese, milk/cocoa, yoghurt and such remained fresh between motel stops. The majority of rooms I stayed in had a refrigerator, some even with a small freezer section to prepare the ice packs for the next day on the road. Ear plugs: to eliminate possible annoyance by noisy room neighbors/TVs on the other side of a paper-thin wall or busy highway, airport, rail road close by. We had good experience with the Howard Leight Max ear plugs and always use them when motorcycling. I had several sets with me. They are meant for single-use but can easily be used more than once. Flip flops: indispensable to remain athlete's foot-free while on motel room carpets and in bathrooms. Oatmeal, pre-mixed: very similar to our usual breakfast at home I had mixed rolled oats with nuts, raisins, dried cranberries, shredded coconut, chia/hemp/flax seed and some milk powder. Half a cup of water, some fresh fruit and low-fat yoghurt if available added to this provided a tasty, healthy and nourishing meal and a perfect alternative in case a motel does not offer breakfast or what they declare as breakfast is nothing more than a wrapped donut and some artificial juice. I brought nine portions and used all but one. I was surprised that compared to ten years ago many more places in the U.S. now provide breakfast (and of course free WiFi) included with the room. Pepper spray: I usually don't feel the need to carry such self-defense device with me but for such a long solo getaway it just felt safer. I went for the triple action spray from Mace, which combines 10% Oleoresin Capsicum pepper, CN tear gas and invisible UV marking dye to help the police find the attacker who got spayed. I had to consider though that some monuments and locations such as the St. Louis Gateway Arch and governmental buildings don't allow entry with pepper spray (or any other kind of weapon). No idea how well the spray works. Luckily, there was no need to get it in action. Sleeping bag: I selected the Travel Down bag from REI. It packs comparatively small (30x15cm), is light enough for indoor use and provides carefree sleeping no matter how flimsy a motel's blanket might be. Tracking system: another "just in case" tool that provided Guido and me with additional ease of mind. We chose the SPOT Gen3. In addition to the on/off switch it has five buttons: two for pre-programmed "I'm ok" messages to check-in with family, one for tracking and to save waypoints of the route, a "Help" button to send a message in non-lifethreatening situations such as stranded due to an empty gas tank and last but not least the S.O.S. button. Pressing this button will contact the GEOS Emergency Center which will notify local 9-1-1 providers (or 1-1-2 when in Europe) and send the GPS coordinates to the response team to provide help in a life-threatening event. When setting up the device on the provider's website, it needs a nickname. I named mine "Brotkrume", (think of Hansel and Gretel). It served me well to track waypoints and to let Guido know when I arrived at my accommodation safely at the end of each day. The device requires four AAA Lithium batteries which last a long time. 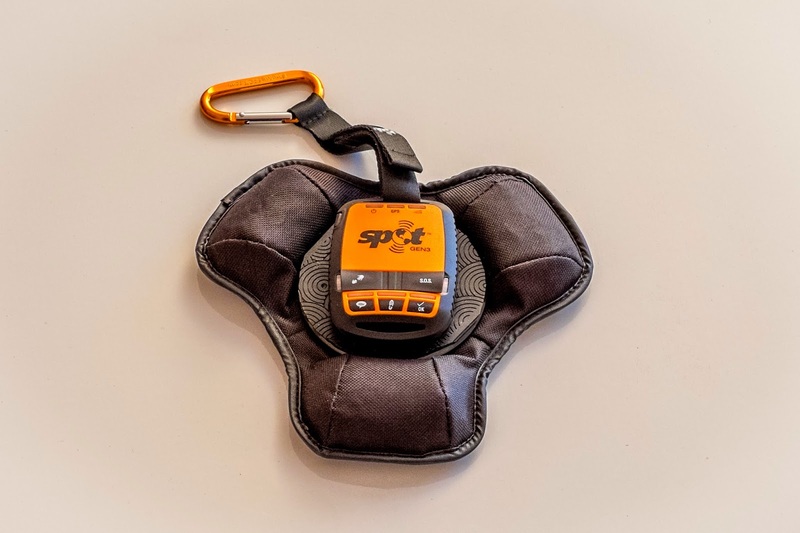 I had the spot placed on a small sandbag on the dashboard, but it also has a clip and can be carried attached to e.g., a backpack while hiking. Diesel fuel nozzle adaptor – I took the adaptor just in case I need to refuel and the gas station only serves diesel for large trucks which would have meant nozzles too large for my car. There was no need at all for the adaptor. Diesel for automobiles can be found pretty much everywhere. 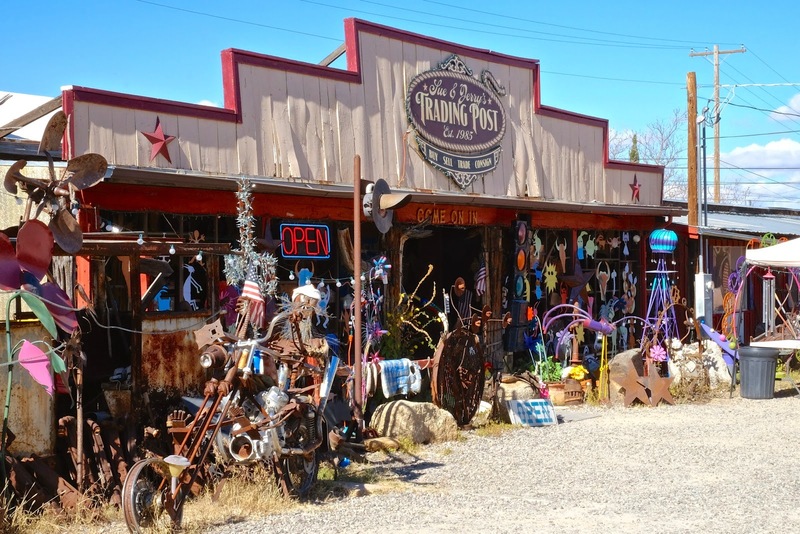 Two to three pair of undies – Five pairs are fine, considering the fact that regular washing by hand or a motel's laundry facility is always an option. My goal was to learn more about peoples' culture and way of living in other parts of the country. I certainly experienced what I always hear people talk about: that there is a tremendous diversity between different states, landscapes and climate zones, (food) cultures, ethnicities and dialects. Overall however, we are not that different. Basically, we all have similar worries, are taking care of our family and are busy with the essentials of life to make a decent living. As a dietitian and interested in nutritional research and obesity prevention, my particular focus was on food availability in different regions of the country. 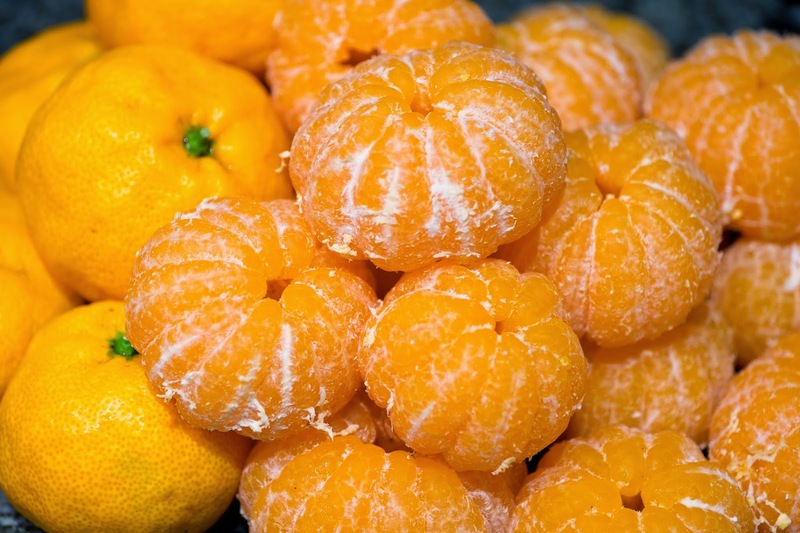 Low-income areas with limited or no access to grocery stores that carry healthy and affordable food have been described by the USDA as "food deserts". 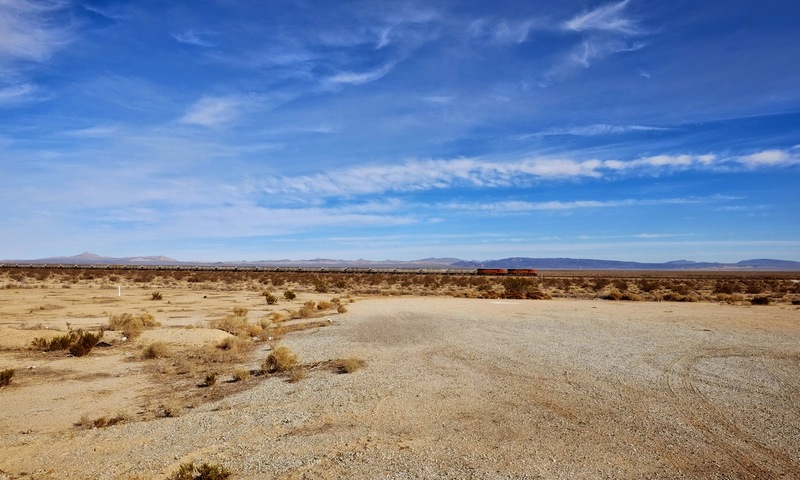 The issue of food deserts and a possible relationship between food deserts and elevated obesity rates of residents in such areas have been discussed controversially in literature over the last several years. My travels do not claim nor were meant to serve as detailed research of this topic. They served the purpose of personal education and reflect my own observations during this trip and within the limited time I spent in each region. I am aware that having a car available made it easy for me to reach any kind of food store or market and to get away from possible food deserts. On the other hand, none of the areas I visited were familiar to me beforehand and consequently I missed a lot that was not directly on my route. Local residents specifically in rural areas who depend on public transportation might experience more issues than me accessing fresh and healthy food choices. 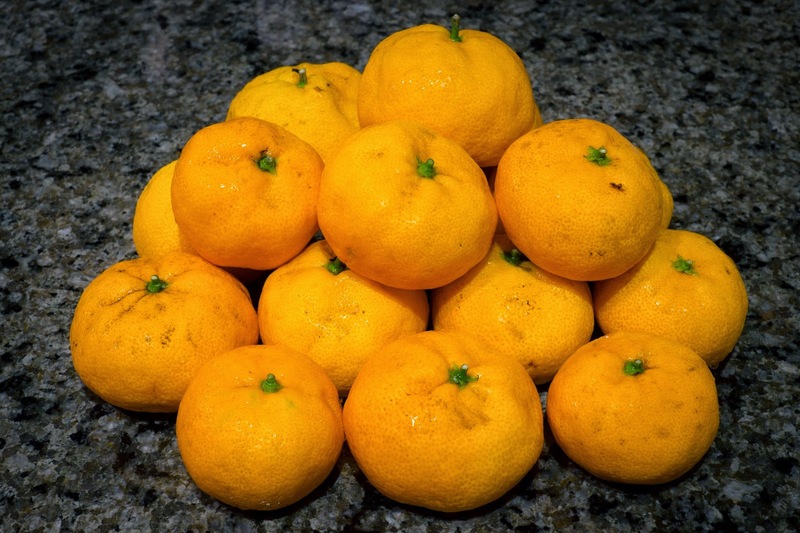 In most large cities I found a well-organized, wide spread system of farmers' markets, many with a long tradition in the area and supermarkets with a good selection of fresh, even organic produces. Whereas in those sparsely populated regions I traveled through, dollar stores and fast food restaurants dominated the area. The stores' isles were filled with candies, cookies and convenience food, sweetened beverages and high calory-low nutrients/costs snacks. However, would an augmented supply of healthy food in these stores help customers make a healthier food choice?? On my route across the country I stopped at many locations that were interesting to me from an agricultural point of view: a sustainable cattle farm and an organic grain manufacturing facility in Nebraska, cotton farms and peanut production in Georgia and Texas, a pecan orchard in Texas, a pistachio tree ranch in New Mexico and an olive farm and mill in Arizona. Also volunteering at a small community farm in Knoxville, Tennessee, during Food Day was lots of fun. In general, I'm not a fan of dust-collecting, space-taking knicknackery. Thus, most of the souvenirs I collected are edible and represent some typical, local taste from the area I visited. Only the ear-rings from the aSHEville Women's Museum made by a local artist, the Nashville Starbucks mug which perfectly complements my mug collection, the 2015 wall calendar from Oracle, Arizona and those three Atlantic Ocean shells I collected on the beach near Charleston will serve as long-term souvenirs. Over the next weeks/months, revival of the journey's memories will happen through our taste buds. I brought several jars of honey (from IL, MS, Southern CA), rhubarb jam from the Amish of Pawnee City (NE), berry jam and meat seasoning (Dallas, TX), apple cider, black bean dip and gumbo'n things peppered lemon spices from the Carolinas, olive oil, pickled bell pepper and pickles from Phoenix (AZ) and flavored pistachios varieties from Alamogordo (NM). 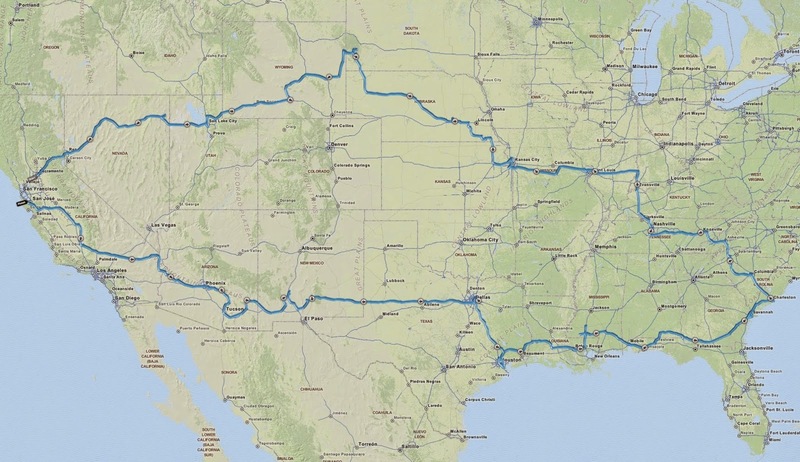 Pulled over by the police for speeding or other trouble-causing activities during those 8,366 miles (13,464 km): 0! Problems with car: 4 relatively minor/stupid issues such as nails in two tires, one blown fuse and on the LAST day damage to the driver's door hinges and door due to a wind gust which ripped the door out of my hand and slammed it open (car should return from repair this week). 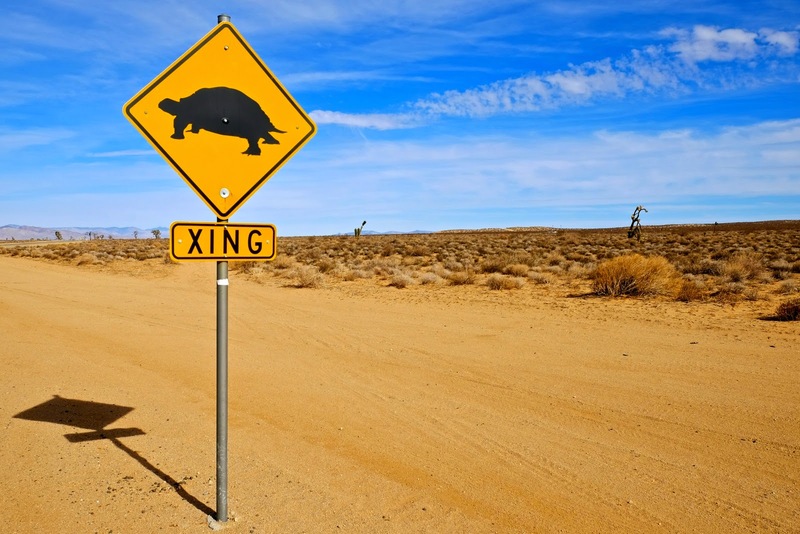 Critical/risky situations: 1 (wooden palette in the middle of my lane at 75 mph on the way to Tucson, AZ), a good portion of common sense, healthy self-assessment and luck prevented any other trouble. Hours of fun time, great experiences made, life-time lessons learned: countless!! Thank you Guido for everything that made this journey possible! Exactly six weeks ago I had started this very special journey and on the agenda today was simply "get the last 400 miles back home". 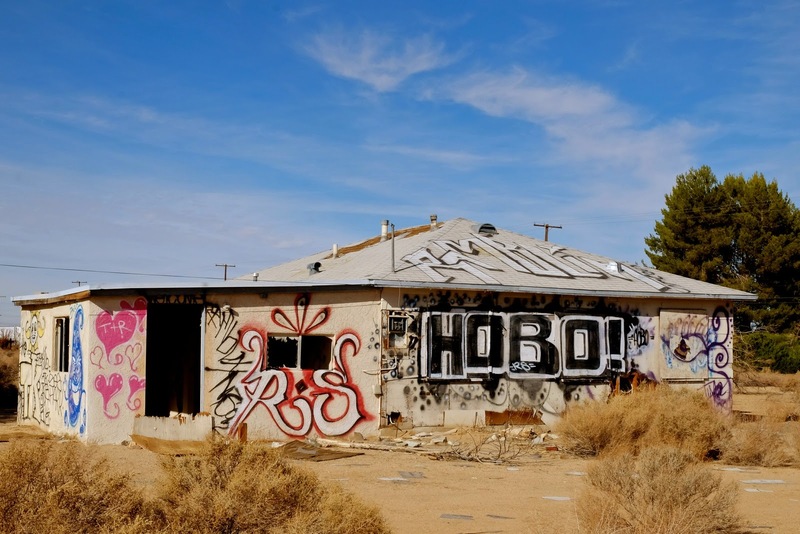 On my way to Bakersfield I noticed some lonesome houses that had become the target for someone's creative urge. Otherwise, I did not stop very often. 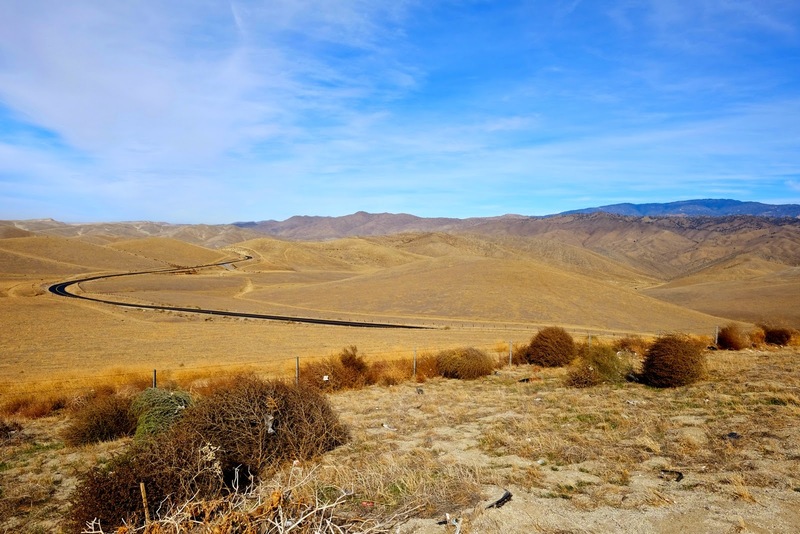 Just here and there to capture the open landscape along US-58 and through the foothills of the Sierra Nevada. 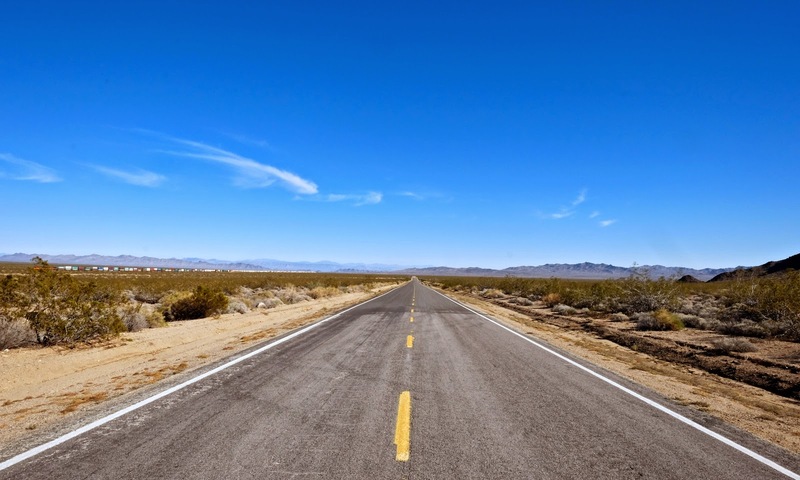 My route brought me through Bakersfield, which is also known as "Nashville West" or "California's Country Music Capital". 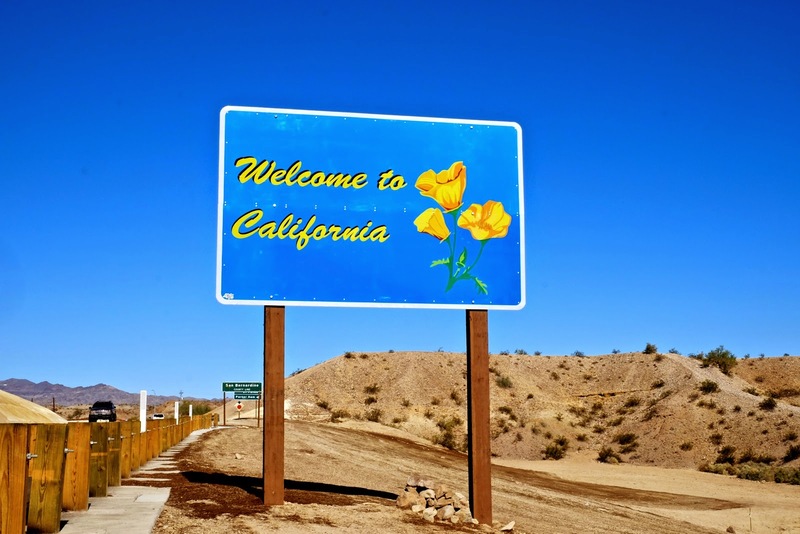 Due to the severe dust storms in the 1930s settlers from the Great Plains migrated into California and brought their Country Music also to Bakersfield (see blog entry from Oct 15th). 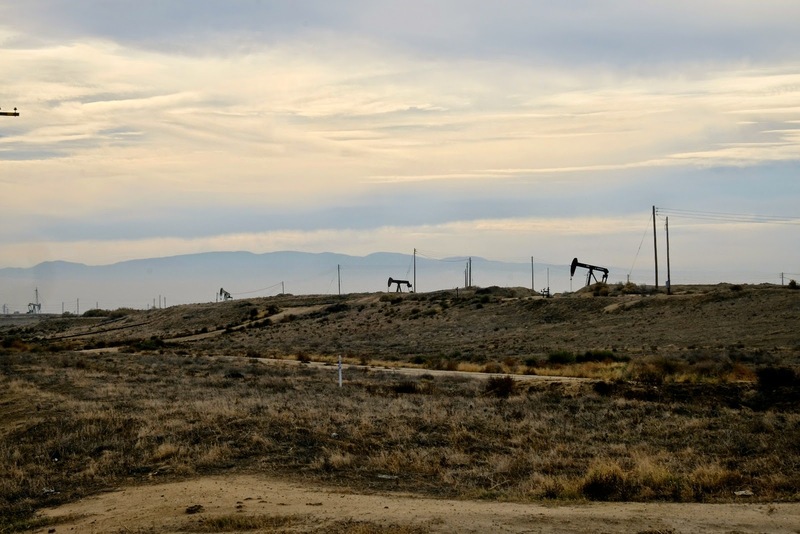 There are some fairly ugly areas around Bakersfield. Years ago, I had met someone from there and she used to tell people that she was from LA, did not want to admit her real home town. I kind of understand why. The closer I got to the city, the more the sky darkened and it felt really depressive. Maybe it was due to a lot of smog or just because of some rainy weather in the forecast? 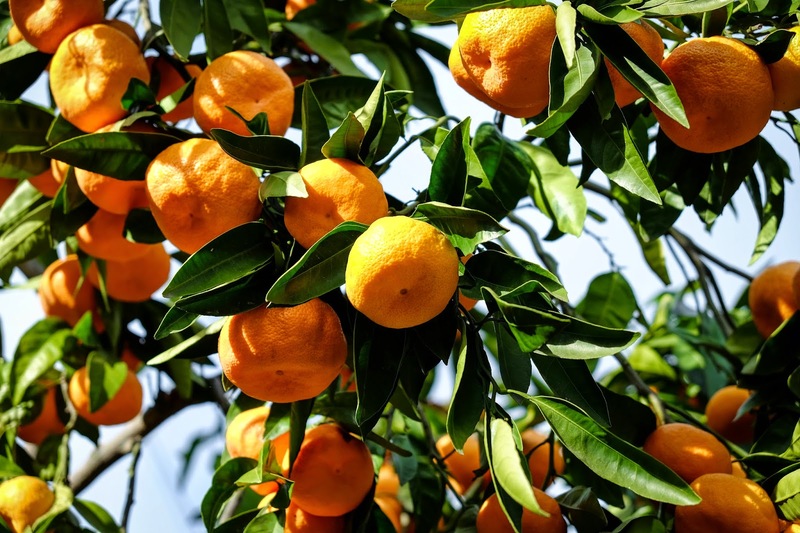 I briefly stopped for lunch at a little town called Lindsay (near Fresno), surrounded by citrus orchards. My dear friend and former co-worker Virgie grew up there and I drove by the Sacred Heart Church where she got married. And then finally, after some nerve-wrecking driving on busy highways 101 and 85, and precisely 8,366 miles (13,464 km) and countless extraordinary impressions later, there I was back home. Safe and sound and happy to be with Guido again! 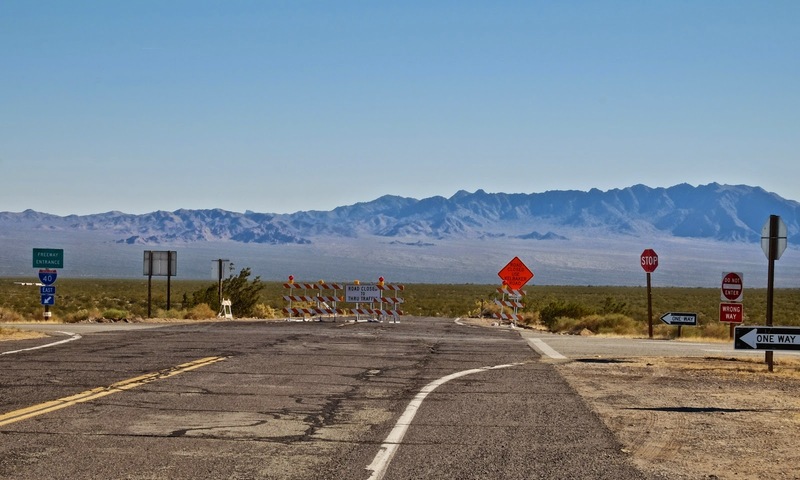 After a brief section on I-10 to get out of Phoenix I took Salome Road & US-72, which travel peacefully towards north-west and across some open-range cattle area. This reminded me of the "five C's" Arizona is/was known for: cattle, copper, cotton, citrus and climate. Sorry for repeating myself, but I'm fascinated by these amazing Saguaros and Mother Nature's creativity in terms of survival strategies. 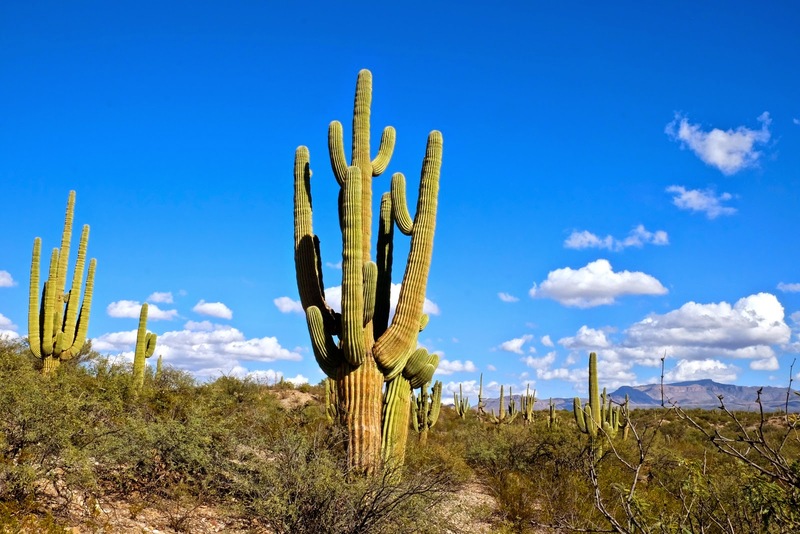 Saguaro cacti grow a shallow root system just below the surface of the ground to absorb as much water as possible when it rains. In dry periods the root system dies back partially to help the plant conserve water and extends again in the wet season. 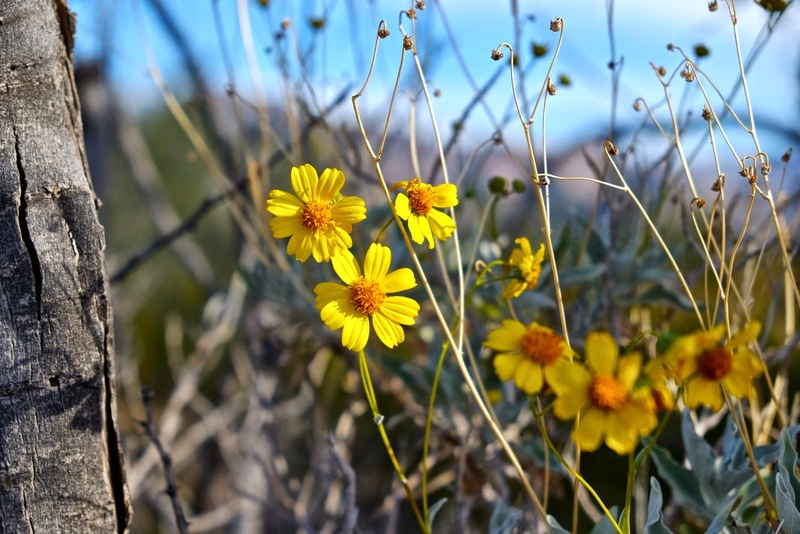 Instead of opening their pores (stomata) during the day to absorb carbon dioxide required for photosynthesis, these highly adapted desert plants open their stomata at night. This reduces water loss through evaporation. Some trees adapted to the desert climate even have green bark. When they shed their leaves to conserve moisture during summer they can continue photosynthesis via their bark. Isn't this a type of Helianthus? Right behind the small town of Parker (AZ) on US-72, my home state welcomed me with its famous state colors blue and gold. California's designated state flower is the California Poppy (Eschscholzia Californica) and I can't wait to see them turning my front yard into a sea of orange again in spring! 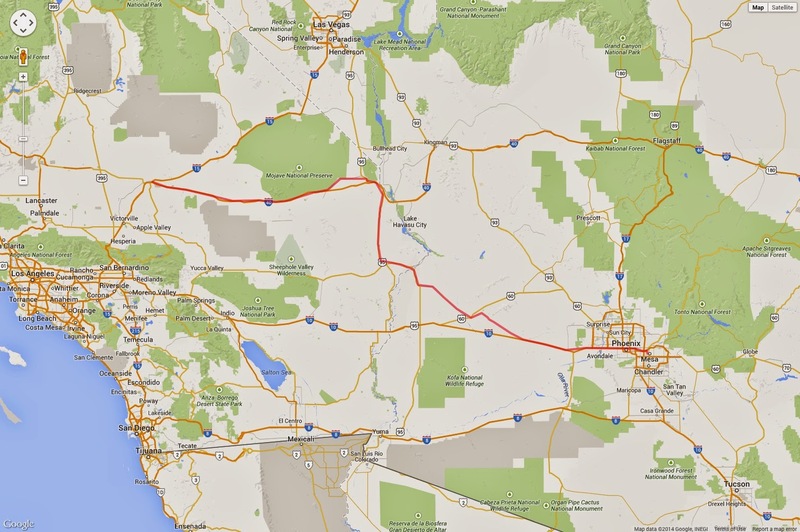 I enjoyed to coast through parts of the Mojave Desert and its "heart" along US-95. To be honest however, such harsh environment always feels intimidating to me. 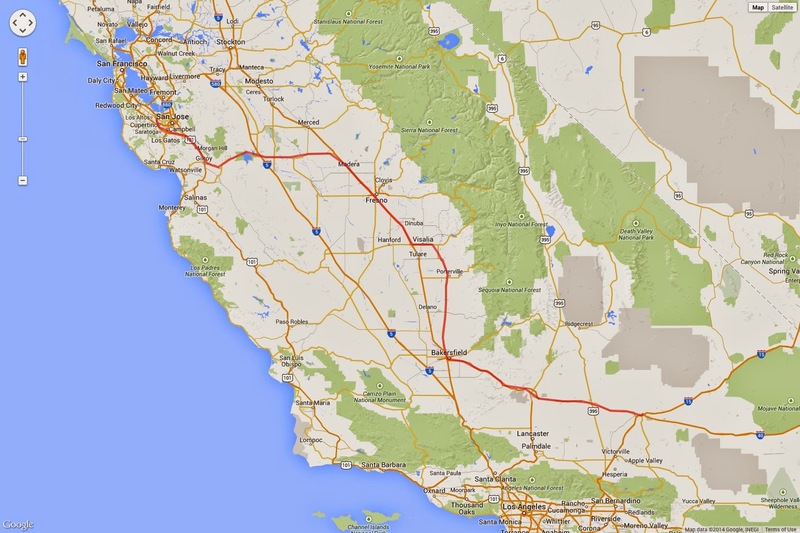 Turning west again, I-40 would have been the fasted way to Barstow. The interstate brought up memories of our amazing motorcycle trip to various National Parks in Utah and Arizona last summer. I really did NOT like to ride my heavily loaded F650GS on windy I-40 though. 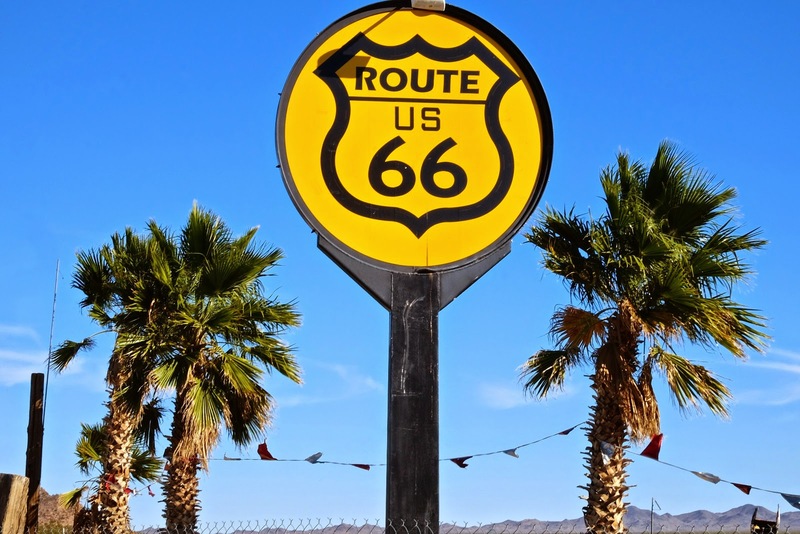 Today, I did not stay long on that interstate either but took parts of the historic route 66 instead. Unfortunately, several connections to US-66 were closed, which forced me back onto I-40. One more day to come. 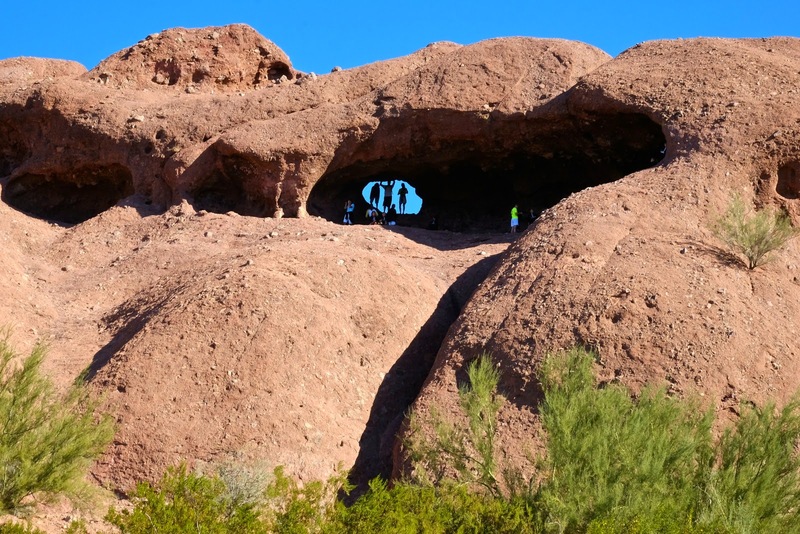 For a (w)hole experience in Phoenix, I started with the Papago Park early this morning, located in the north-east of the city and full of hiking trails, biking paths and picnic areas. 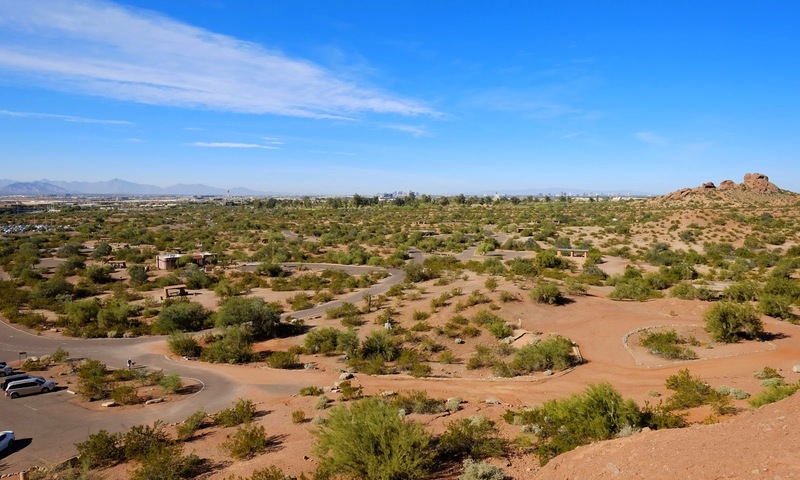 Also in this park are the Phoenix Zoo and the Desert Botanical Garden. And the "Hole-in-the-Rock". 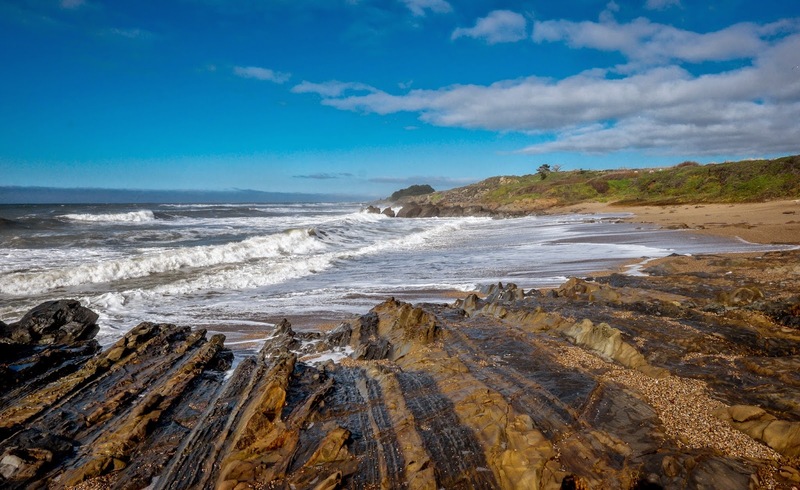 This hole in the conglomerate sandstone is thought to have been created by water erosion. It was used as calendar device by the prehistoric people of the Sonoran Desert. They were able to determine when the summer and winter solstice occurred by paying close attention to the sunlight shining through the hole and the position of the ray of sunlight on the floor. However, I prefer the city view from a rock at another location in the park. It's a bit closer to the city and without the "get me as close as possible to the rock with the hole" parking lot in the way. 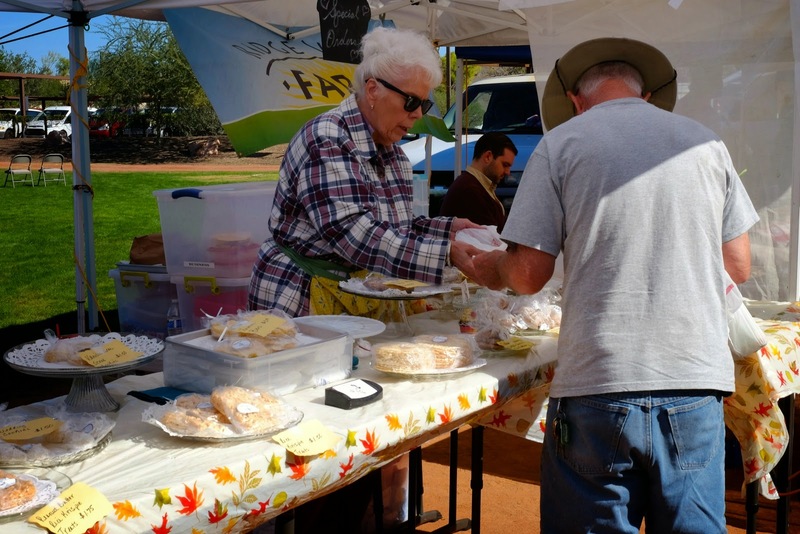 Phoenix, most populous state capital in the U.S.
Phoenix and its surrounding communities such as Scottsdale, Mesa, Carefree and Anthem have a good coverage of Farmers Markets throughout the week, except on Mondays. 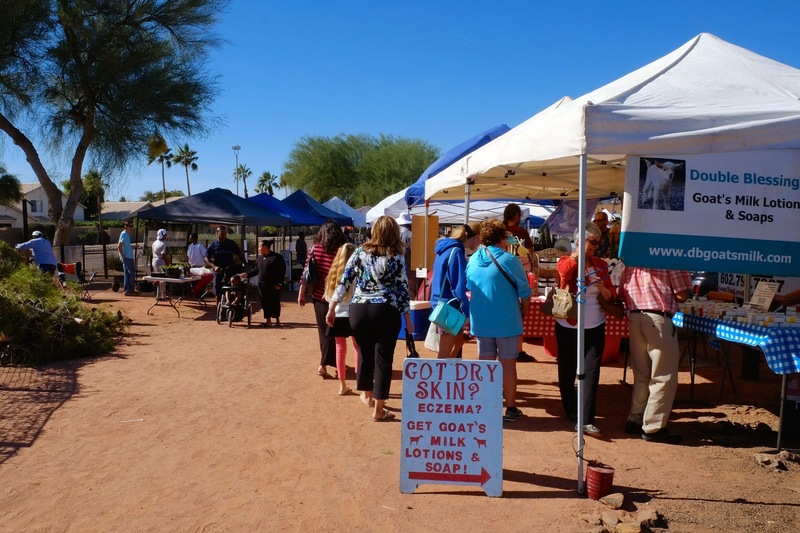 I visited the Ahwatukee Farmers Market in the south-east of the city. 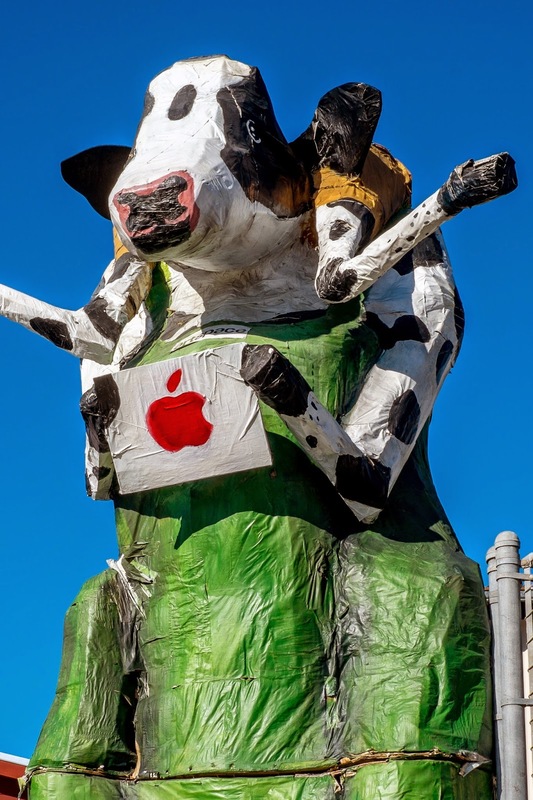 It's an open-air market and in place since 5 years. 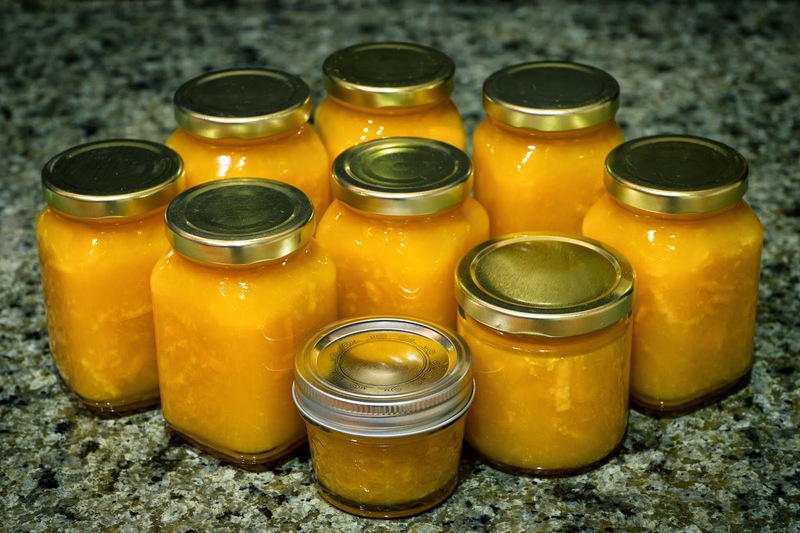 They have fresh, locally grown produce, locally made salsas, bread, jellies, honey and also some arts and crafts. I picked up some organic tomatoes and Pink Lady apples. 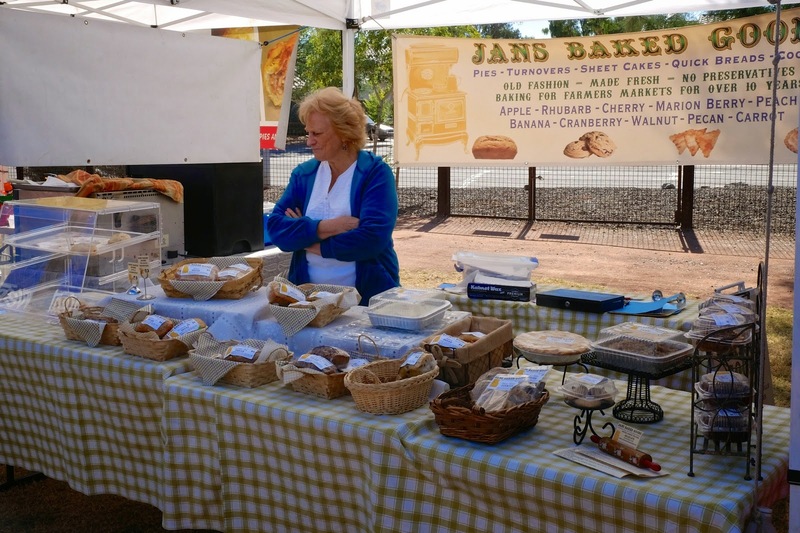 "Jans baked goods" looked also very good to me. I got one Apricot bread and an Apple with Black Walnuts bread. No guaranties that they will survive all the way back to Sunnyvale! 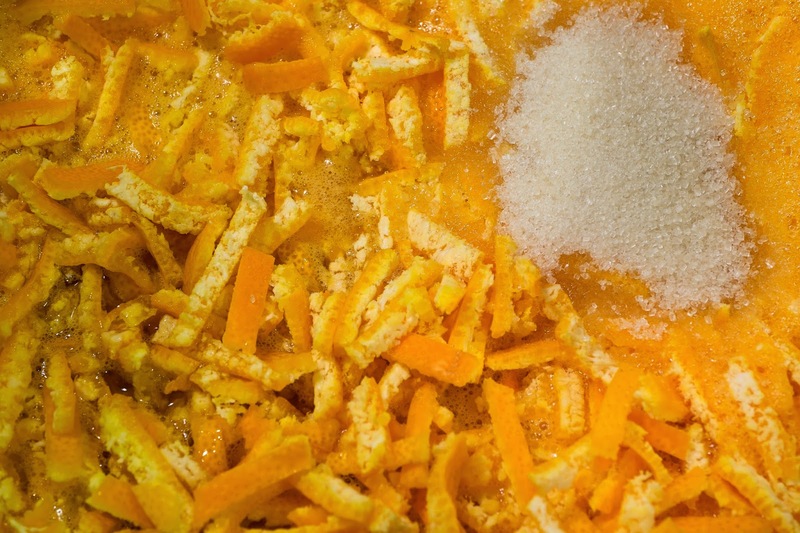 Thinking about a new recipe? Rick and I had a longer conversation about the pickled products he sells and the origin of the ingredients, but also about his German-Irish heritage, his Venezuelan fiancé and lifestyle in Venezuela vs. the United States. We easily came to the agreement that a healthy body has a lot to do with healthy eating and regular exercise. I really liked the pickled red bell peppers and spicy pickles! the DOB on his ID says he is. 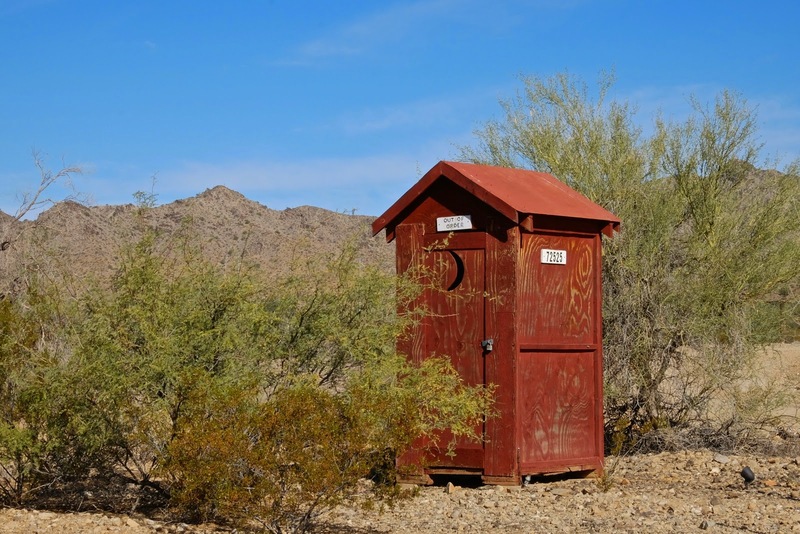 Phoenix has long, extremely hot summers and warm winters. 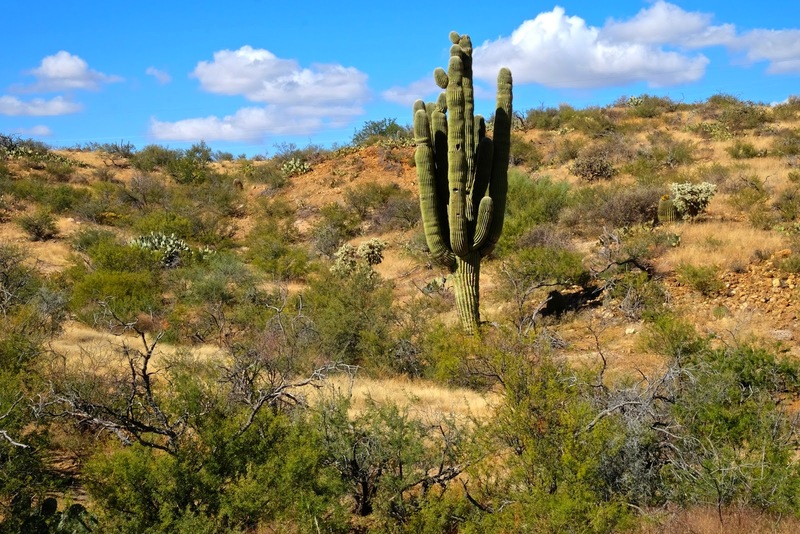 A canal system, put in place by Hohokam people who lived in the Sonoran Desert, made the land arable. Parts of this irrigation system are still in use and make the long growing season in this area feasible. 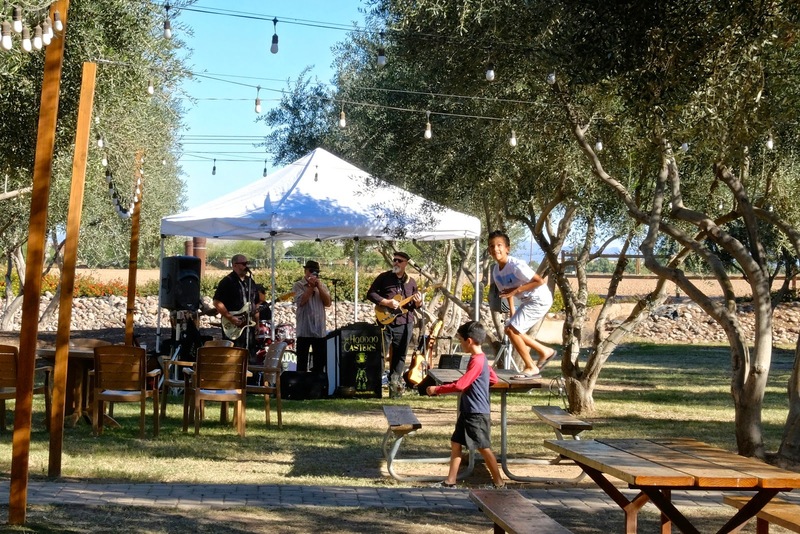 Arizona's hot climate and rich soil of the Sun Valley also provides the basis for the Queen Creek Olive Mill and the olive orchard of the Rea family. Perry Rea, his wife Brenda and their five children run the orchard, which was established in 1998 and now has 7,500 olive trees on 120 acres (~ 48.5 hectare). Although olive trees are not native to the Americas, the olive business thrives well where the climate is similar to the Mediterranean. 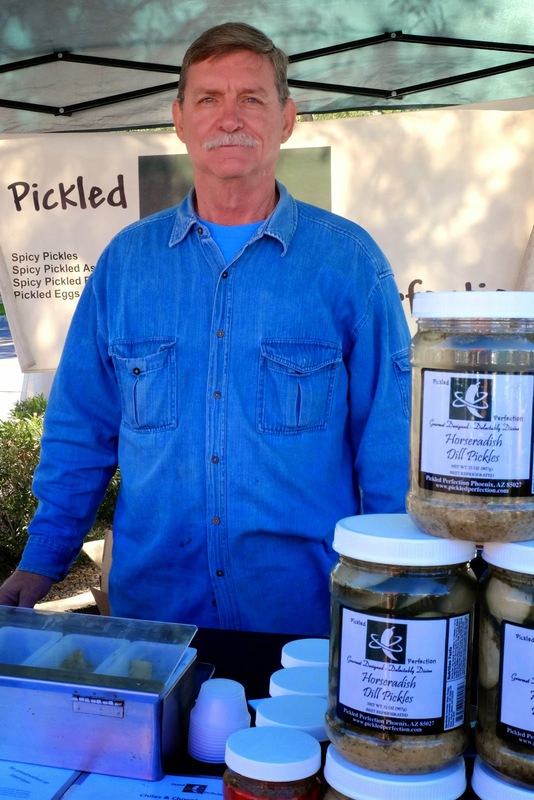 The Queen Creek Olive Mill seems to be very successful with their (extra) virgin olive oils, stuffed olives, spreads, soaps and lotions. 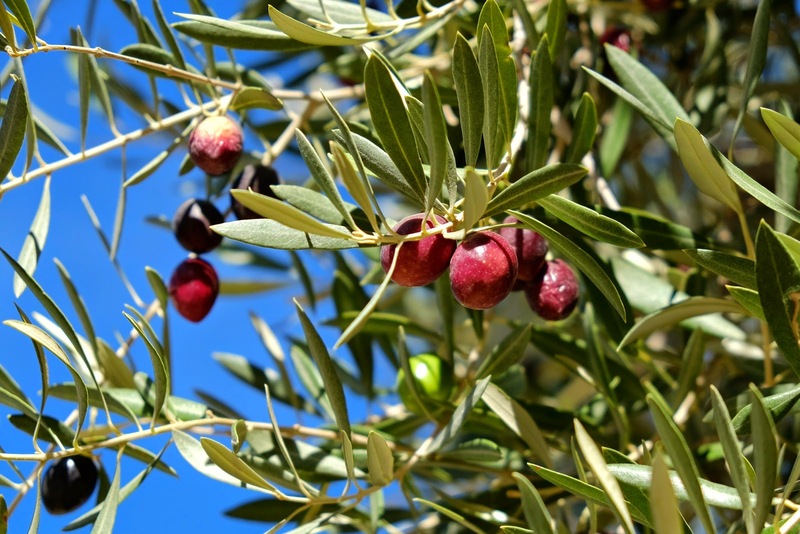 They offer tours to provide an insight into the steps from olives to oil. The olives get manually harvested with specific raking tools. 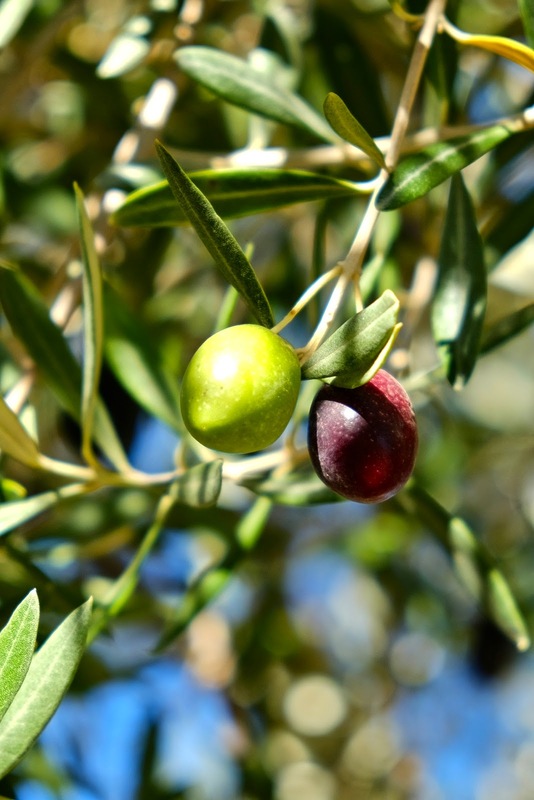 The harvest date or maturity of the fruit and the olive variety have a large impact on the olive oil flavor and shelf life. The orchard has 16 different olive varieties. Olives harvested and processed in their green ripe stage will give the oil a more grassy flavor and longer shelf life, while oil from purple ripe olives tastes rather buttery, fruity to flat. 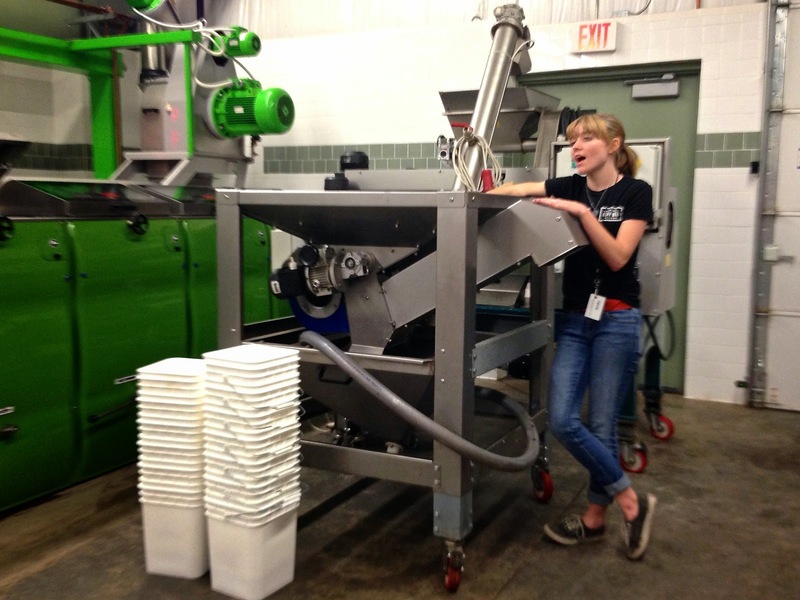 Harvested olives get pressed within 24 hours to assure the highest possible oil quality. At this olive mill they only produce extra virgin or virgin olive oil. Hence, only mechanical means are used to extract the oil, but no heat or solvents. 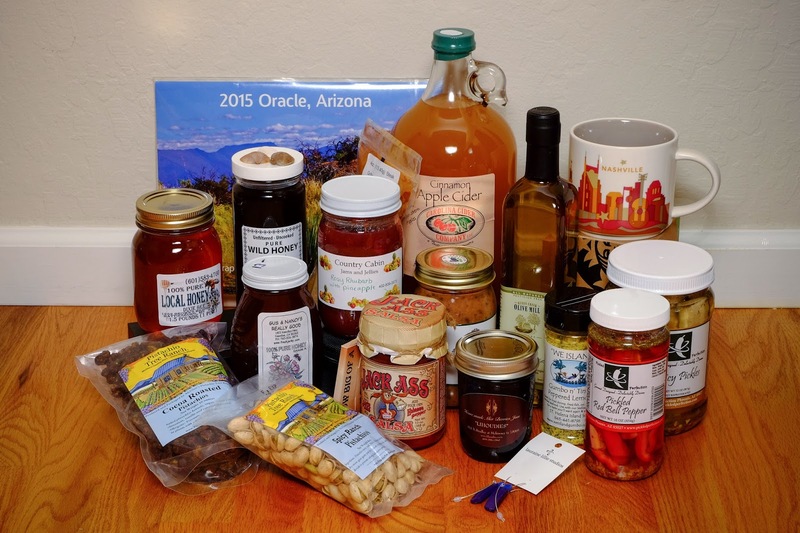 The Queen Creek Olive Mill also has a large store for all their goodies. Today they had a harvest festival, including a band playing and kids who got all wild having fun. 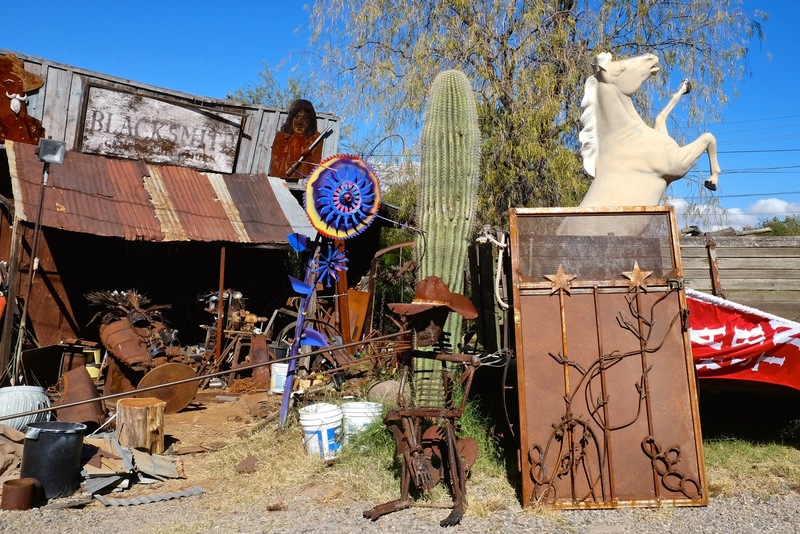 Other than parks, Farmers Markets and olive mills, Phoenix has museums featuring arts, history, music instruments, the Phoenix police and many more. 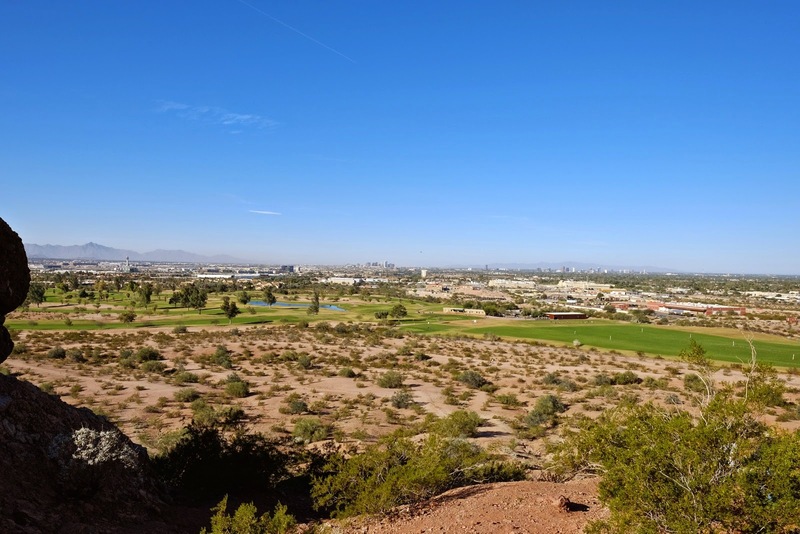 The city and especially Scottsdale in the north-east is also well known as a shopping mecca. But honestly, shopping rarely give me a reason to get out of bed. Some of the museums sound interesting though, on a rainy day. Two more days to come. 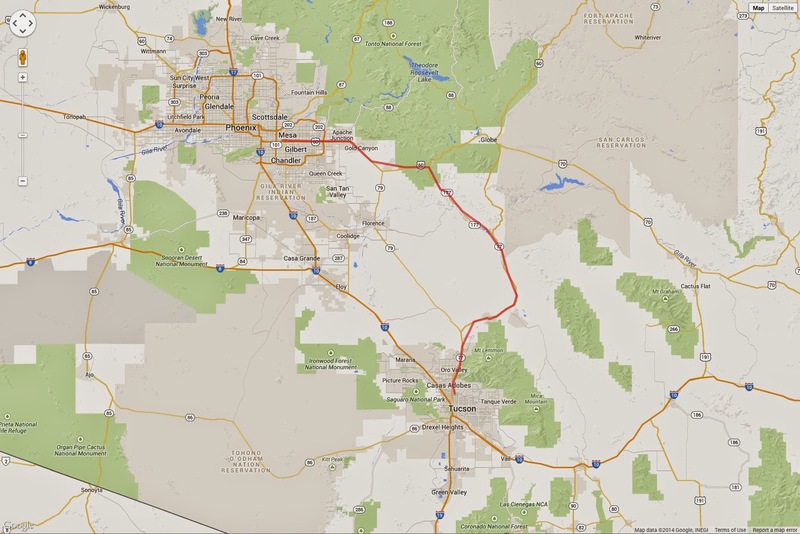 The distance between Tucson and Phoenix is only about 110 mi (~177 km) via I-10. 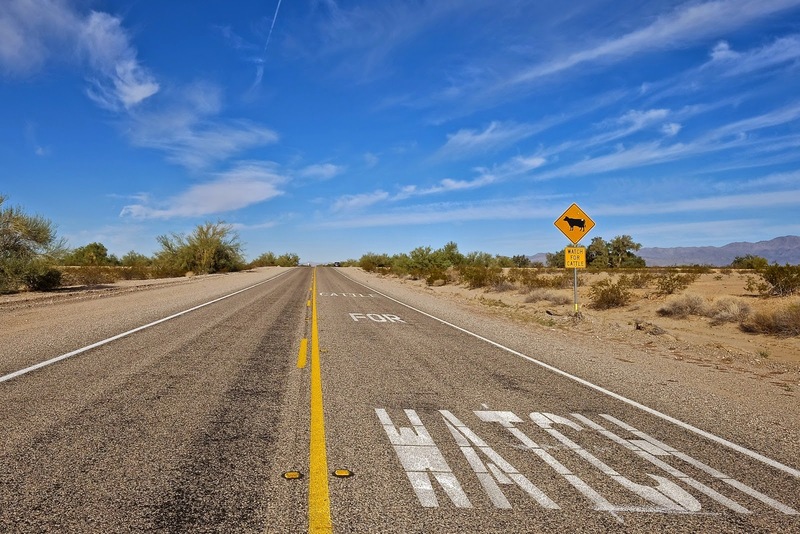 The other option on the east side (US-77 and scenic route 177) adds twice as much driving time but only 40 mi (~65 km). Guess, which one I chose. 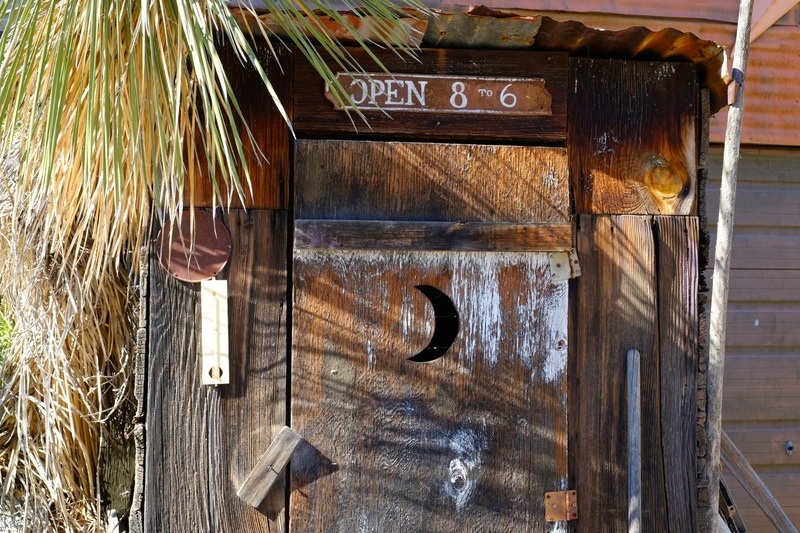 In the little town of Oracle, just north of Tucson, a Farmers Market sign caught my attention. It brought me to the courtyard of Sue and Jerry's Trading Post. The Farmers Market actually only takes place on Wednesday, which I had overlooked on the sign. Never mind, I checked out the little store instead. Nasty people would call it junk; let's call it collectibles or antiques. And indeed, I found something that I bought. Oh, I see and feel Guido frown when he reads this. ;-) Nothing to worry! I bought a beautiful 2015 wall calendar with wildlife photographs from the area, taken by a local photographer. And part of the earnings also support the local Women's Network group. 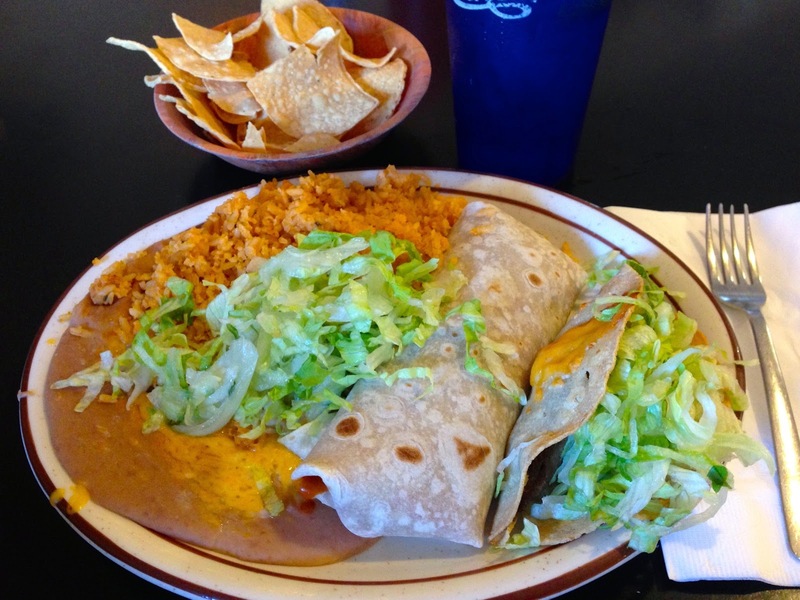 At Mammoth, another small community along US-77, "La Casita" and their "authentical Mexican food" looked inviting for lunch. If this were just one meal, I certainly would gain weight quickly! ... I saved half of it for dinner. 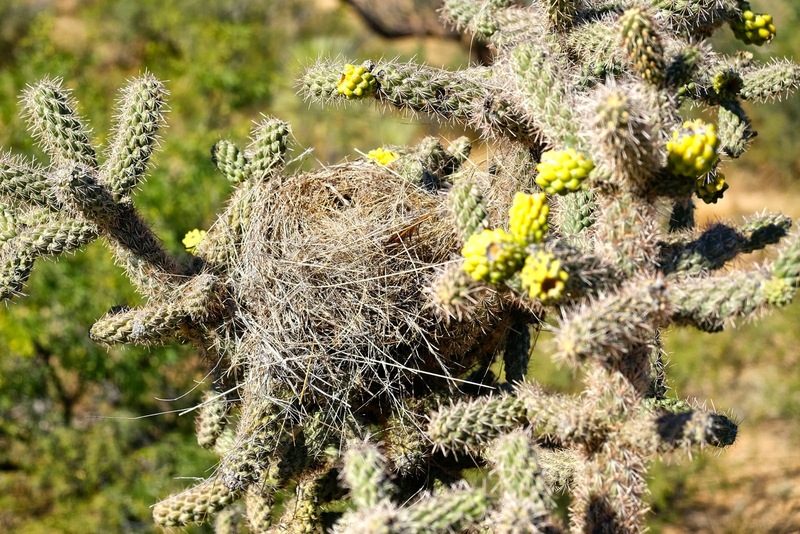 What a smart bird that built its nest in this nicely protected spot. Or - as a cat or squirrel - would you climb up there to steal the eggs? 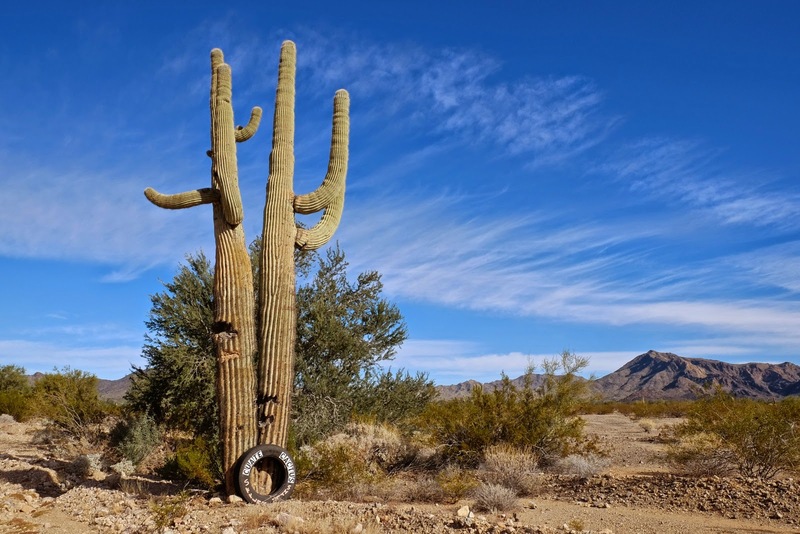 Another nickname for Arizona is "The Copper State". At first, I had trouble to recognize what these strangely formed and colored mountains were. 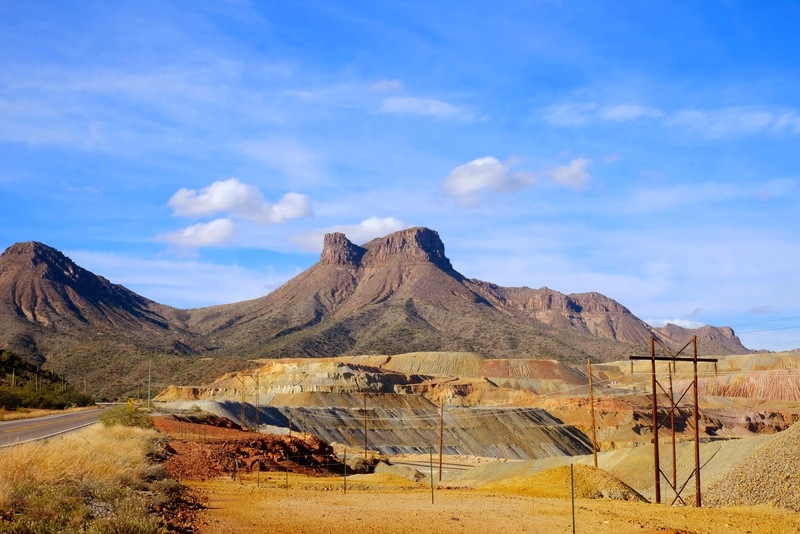 Then, I realized that this was an open-pit copper mine, operated by ASARCO (American Smelting And Refining Company). Looking at the full picture, one can still imagine how the landscape had looked before human impact. I'm wondering what they do with the area when they are done turning it upside down and the resources are exhausted. Does it then get recultivated like most of the German open pit coal mine areas? 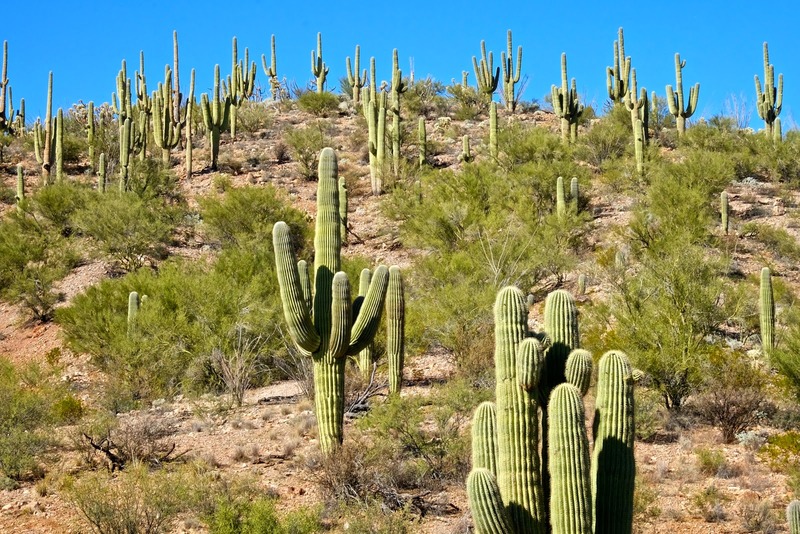 Whatsoever, it will take a while - if at all - until it will be covered with Saguaros again.